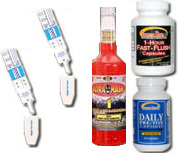 (2) 1-Panel Drug Tests of your choice. (1) Ultra Klean Detox Drink. (1) Bottle of Supreme Klean Pretox Capsules. (1) Bottle of Supreme Klean Fast Flush capsules. (1) Bottle of Supreme Klean Daily Pre-Tox Capsules. (1) Zydot Ultra Clean Cleansing Shampoo. (1) Ultra Klean 1-Hour Liquid Formula Detox Drink. (1) Supreme Klean Saliva Mouthwash. 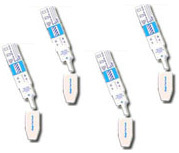 (20) 1-Panel Drug Tests of your choice.